TORONTO, ON – It’s been almost a century since hops production has taken place on a wide scale in Ontario, but now a group of growers from across the province have joined forces to create the Ontario Hop Growers’ Association (OHGA), a new organization that aims to revive this once booming industry. According to details provided to CBN by OHGA Executive Committee member Melanie Doerksen, this initiative has been launched to serve as a non-­profit association of 28 organic and conventional growers in Ontario, as well as brewers, herbalists and enthusiasts interested in supporting the re-­emergence of the Ontario hop industry. Specific plans for the group include acting as a central voice and advocacy group for the industry; promoting hop-growing fundamentals through education, research, promotion, and marketing; and setting up a database of relevant growing and management information specifically for Ontario. The release further notes that due to increased interest in Ontario craft beers made with locally sourced ingredients, land dedicated to the production of hops in the province is expected to grow by 50% this year, increasing from 8 hectares (20 acres) to 12 hectares (30 acres). 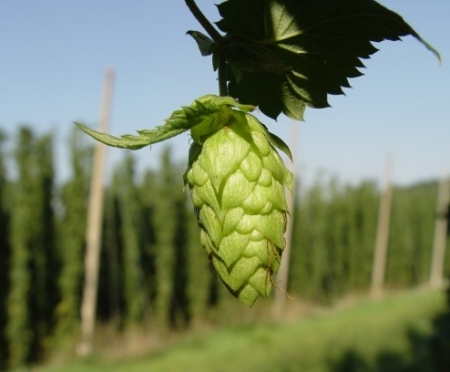 Those interested in finding out more about the Ontario Hop Growers’ Association and its initiatives can contact the group at ontariohopgrowersassociation@gmail.com.